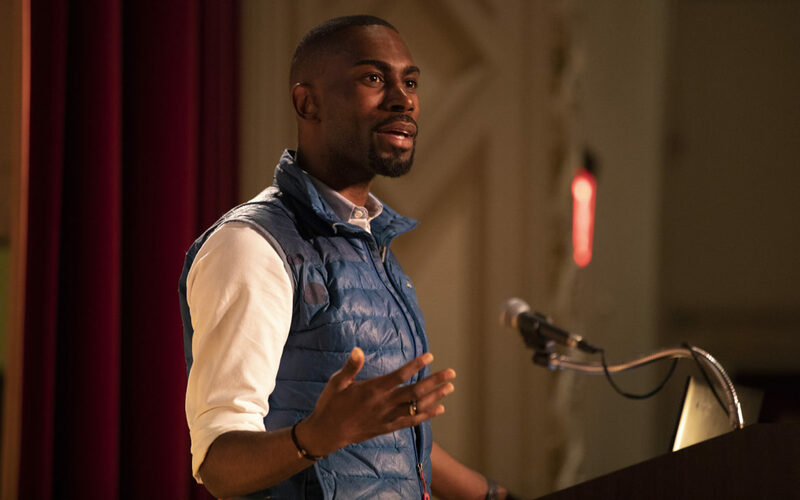 The conversation about race, justice and the role of police is “in a fundamentally different place,” said Mckesson, a high-profile activist, author and host of Pod Save the People. Yet the number of reported killings of citizens by police officers across the nation has stayed roughly the same. 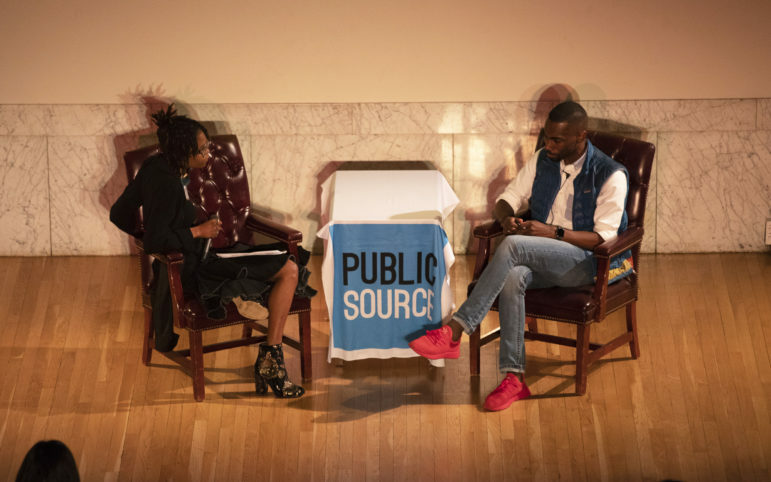 “I’m mindful every single day that we have not won yet,” Mckesson told a crowd of about 250 people in Pittsburgh at a Feb. 12 event hosted by PublicSource. Some Pittsburgh-based activists also pushed back via social media about Mckesson’s appearance in Pittsburgh, calling out Mckesson for profiting off of Ferguson and saying that someone from Ferguson should have been asked to speak. Despite his following — for instance, a Twitter audience of more than one million followers — Mckesson said he does not view himself as a top-down leader. But Mckesson also noted the power of having a large audience. He said he contacted Jay-Z and other celebrities, asking them to allow signature collection at concerts to help raise quick support for an amendment to end Florida’s voting restrictions on convicted felons. During the 2018 midterm elections, voters in Florida passed the amendment, restoring the right to vote to about 1.5 million people. Mckesson said seemingly small policy changes can have a major impact. As an example, he explained that the minimum dollar amount for theft to be considered a felony is $300 in Florida. Felons in Florida still cannot hold public office. After protests in Ferguson, Mckesson and fellow activists began collecting data on crime and policing, including a project called “Mapping Police Violence,” which tracks police killings of civilians across the country. This work is published by Campaign Zero, a police reform organization, which also examines police handbooks and union contracts to identify policies viewed as problematic. He appears frequently in media interviews and has met with numerous celebrities and politicians, including former President Barack Obama. Again addressing criticism, Mckesson said he wants activists to have access to his work to use themselves. McKesson’s background is as an educator. He taught sixth grade math with Teach for America and was an administrator in both the Baltimore and Minneapolis public school systems. 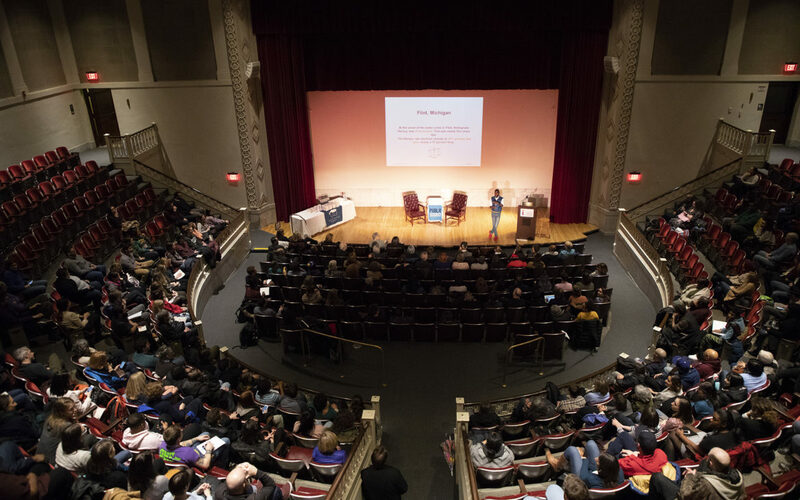 His Tuesday evening talk mirrored a teaching lesson in which he presented slides, called on volunteers to read and posed questions for audience members to answer. When asked by one audience member about getting community members interested in policy and social issues, McKesson explained that people are already informed by their life experiences. Erin West is an editorial intern for PublicSource. She can be reached at erin@publicsource.org and @erinrawwest.